Originally from Victoria BC, Meran Currie-Roberts has had a successful career across Canada as a cellist, teacher and arts administrator. Prior to joining the Edmonton Symphony full-time in 2018, she frequently appeared with the Calgary Philharmonic, Winnipeg Symphony, Kitchener-Waterloo Symphony, Thunder Bay Symphony, Windsor Symphony, and Colorado Music Festival orchestras. As a chamber musician, Meran has played for the Edmonton Recital Society, Festival of the Sound, Elora Festival, Festival Ibero Americano, Music at Port Milford, Jeunesses Musicales Canada, Schleswig-Holstein Musik Festival, Kincardine Festival and Festival Vancouver. She frequently plays with ESO colleagues Laura Veeze, Neda Yamach, and Clayton Leung as The YEG4. In addition to performing, Meran was formally Dean of the Manitoba Conservatory of Music and is currently Executive & Artistic Director of the Health Arts Society of Alberta (HASA) – a registered charity that brings over 300 professional concerts to elders in care annually. More information can be found at healtharts.org. 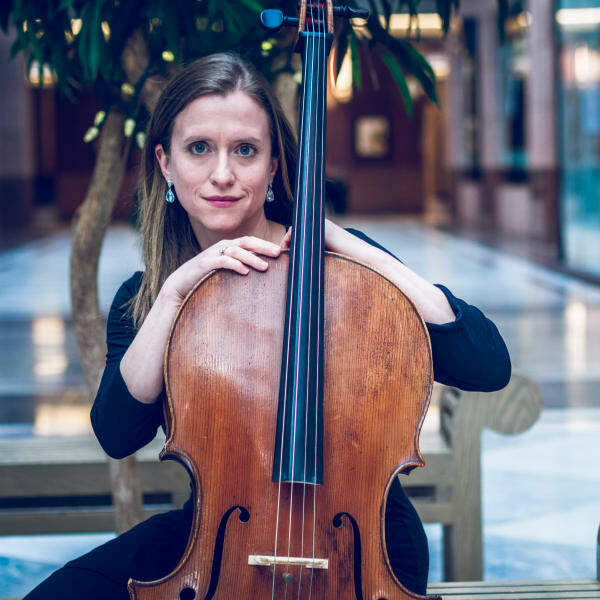 Meran is on faculty at both the University of Alberta and the MacEwan conservatory where she shares her love of the cello with students from age 4 to retirement. Meran studied with James Hunter at the Victoria Conservatory of Music and with Shauna Rolston at the University of Toronto, where she obtained her B.Mus and M.Mus. She is married to ESO Principal Cellist Rafael Hoekman, and has two wonderful children.